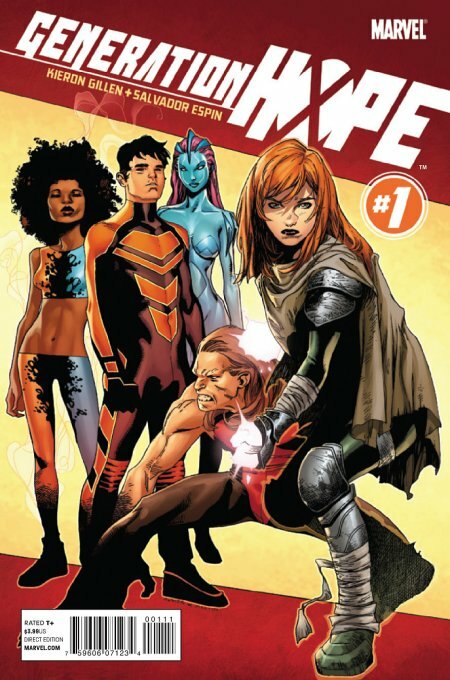 When Exiles (1st series) had been canceled with #100 in February 2008, it was replaced a month later with the title New Exiles in March 2008. Unfortunately, the title didn’t seem to capture an audience and was canceled in April 2009. Nevertheless, another attempt to relaunch the series came a few months later with Exiles (2nd series) in July 2009. Paralleling the beginning of its first run years before, a handful of heroes from separate realities found themselves "unstuck from time" and charged with fixing realities by the "Timebroker," who now seemed to be Morph. The truth of "Morph the Timebroker" and the history of original Exiles were slowly deduced by the new recruits. Though this series had a much more similar feel to the series which began in 2001, it ended after only 6 issues. 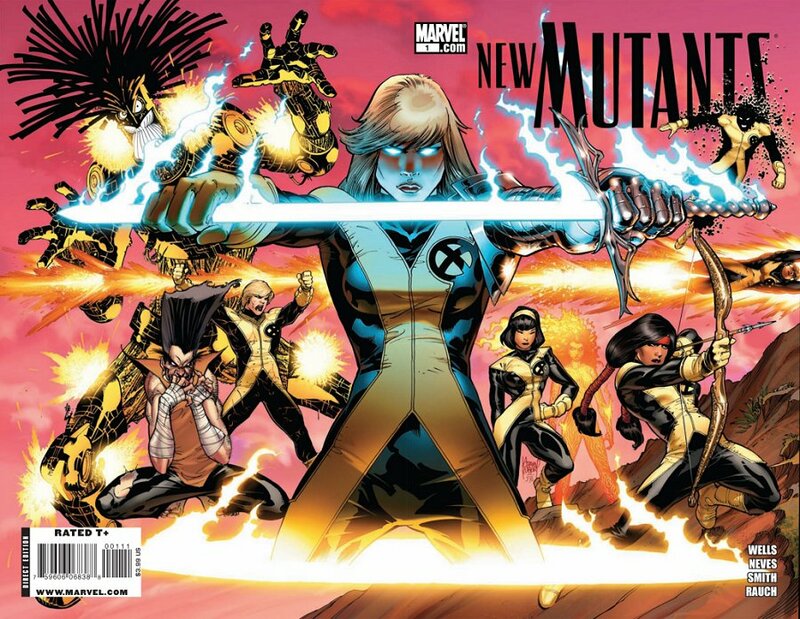 Another series to be given a fresh lease on life in 2009 was New Mutants (3rd series), which began its new run in July. The first year of the new title focused on resolving old plotlines from the original series. The first arc featured Legion and began his journey to resolve his shattered psyche, which was later picked-up on the Rogue-centric X-Men Legacy (1st series). Warlock returned from space soon thereafter, just in time for the team to meet the resurrected Cypher, who had been brought back to life by Selene during the Necrosha crossover. The New Mutants also learned the fate of the mutant babies taken during the Inferno crossover so very long ago. As time went on, the historic group of New Mutants were joined by Nate Grey, also known as the X-Man, who became a valued member of their group, as well as romantic interest to Moonstar. Another unlikely coupling was that of Magma and Mephisto, a romance which baffled everyone but inexplicably seemed genuine. The group's greatest test came from the future, one in which control of the world had been siezed by Cypher, known as Truefriend. 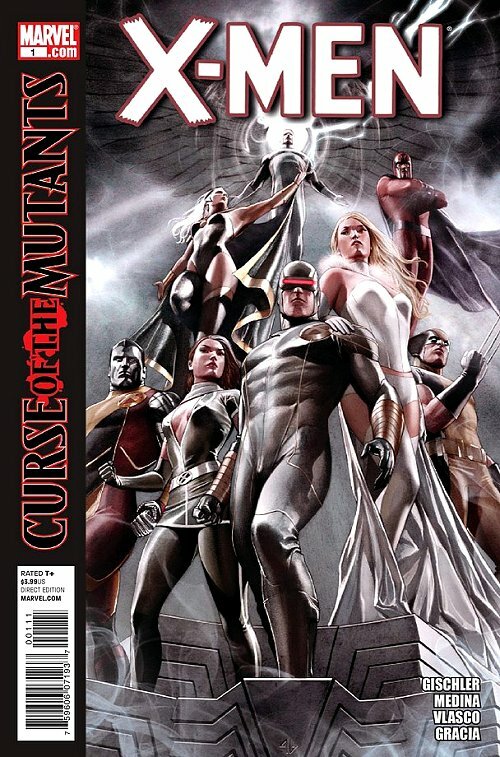 Along with the rest of the X-Men, the New Mutants participated in the events of the Second Coming crossover in summer 2010. When Cable returned to the present with the now-teen Hope, the X-Men were not the only ones waiting for the so-called mutant messiah. Bastion brought forth the full power of his organization, The Right, which dogged the two time-travelers as they made their way to sanctuary at Cyclops’ Utopia. Though they escaped capture, Cable and Hope raced into a trap, when Bastion created an inpenetrable energy sphere around the island and unleashed waves of Nimrod Sentinels from the future. Though the X-Men ultimately defeated Bastion and escaped his trap, it was not without cost, as Nightcrawler died during the conflict and followed soon thereafter by the apparent death of Cable. During the conflict with Bastion, the X-Men were also horrified to learn of the existence of Cyclops’ new and very lethal X-Force squad. Following the end of the crisis, Cyclops disbanded the team, only for Wolverine immediately to reform it, keeping its existence secret from even Cyclops. Launched in December 2010, this new series was called Uncanny X-Force and was the first title to bear this name. Lasting for 35 issues, the series featured massive changes for the characters involved, particularly Angel, and dealt with the legacy of Apocalypse. 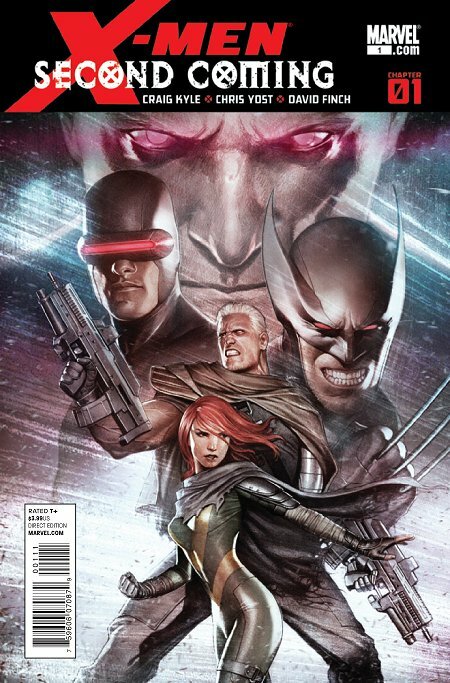 Out of the calm following the Second Coming crossover, several new series began in November 2010 – X-23, Daken: Dark Wolverine, Wolverine (4th series) and X-Men (3rd series). X-23’s series was her first ongoing title but, because she had previously enjoyed a miniseries, this one is labeled X-23 (2nd series). Deciding that she needed to find her own way, Laura left Utopia and traveled the world. She was joined along the way by Gambit and together the two shared adventures. While tracking Weapon X director Malcoln Colcord to Madripoor, the two came across the Wolverine’s son, Daken, who was in the process of setting himself up as crimelord of the island replacing Tyger Tiger. Their clash was depicted in a 2011 Collision crossover between their two titles. 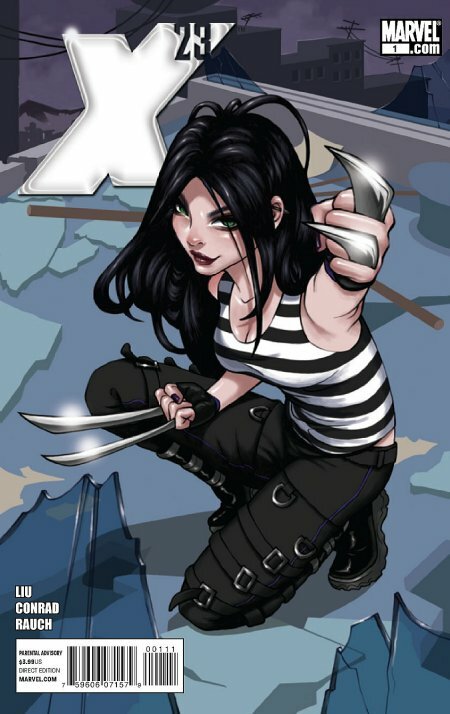 X-23’s series lasted for 21 issues, ending in May 2012, having begun and ended in the same months as Daken’s own. Though he lost his earlier eponymous series to Daken with Dark Wolverine, Wolverine still had appeared in two ongoing series, Wolverine Origins and Wolverine: Weapon X. 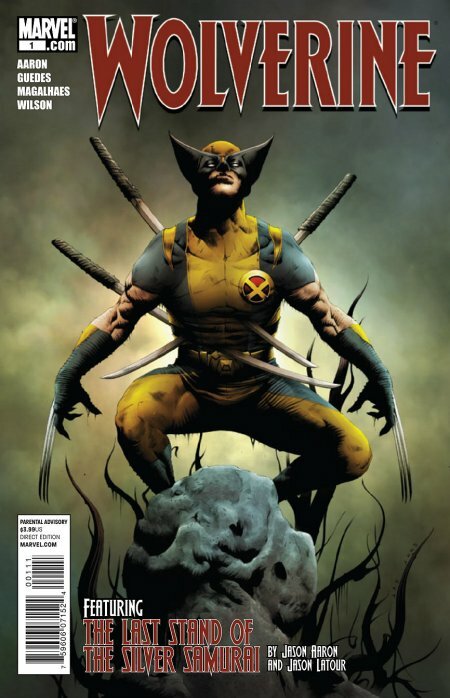 When Wolverine Origins came to its natural conclusion in September 2010, Marvel decided to end Wolverine: Weapon X, replacing both with Wolverine (4th series) in November 2010. Written by Jason Aaron, the new series began with the famed “Wolverine goes to Hell” storyline and then faced Wolverine against the menace of the Red Right Hand. In March 2012, the series went through a rare renumbering scheme, jumping from #20 to #300. This landmark number was achieved by adding the 189 issues of Wolverine’s 2nd series to the 74 issues of his third, then oddly the 16 issues of Wolverine: Weapon X to finally the 20 issues of Wolverine (4th series). This numbering system lasted for another seventeen issues, with the series ending with #317 in February 2013, leading into another #1 a few months later. During this series’ publication, it was not the only Wolverine series. For a brief run of 12 issues between February 2011 & February 2012, Wolverine also appeared in Wolverine: the Best There Is. 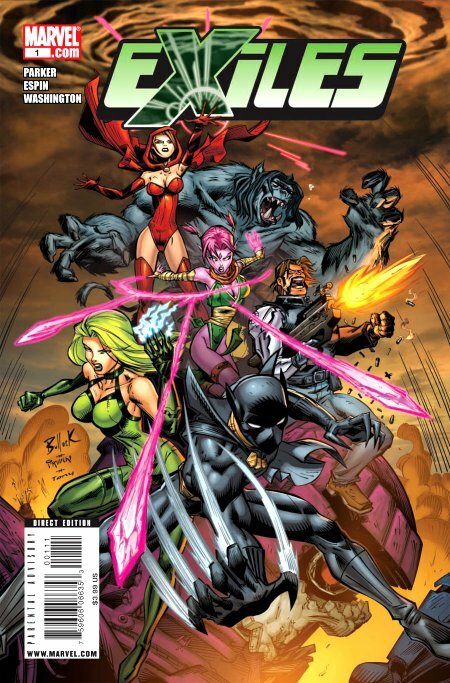 Last of the late 2010 series was the return of the adjectiveless X-Men series, the 3rd series of that name. Released as part of The Heroic Age branding, this series functioned like an "X-Men Team-Up" title for most of its run, with heroic guest-stars from the larger Marvel Universe showing up for most story arcs, including Blade, Spider-Man, Ghost Rider, War Machine and the FF. A running theme in the series was also Jubilee's efforts to deal with the ramifications of becoming a vampire. The series ran for 41 issues, ending in April 2013 and replaced with a new series in July of the same year. With the apparent death of Cable, the only father or friend she had ever known, Hope Summers found herself a messiah among the mutants of Utopia, all of whom were strangers to her. However, Hope found new purpose when Cerebra soon registered the first new mutants to manifest their powers since her birth, apparently in response to her return. Cyclops assigned Hope to gather and train these new “Lights,” so named as they brightly lit the globe of Cerebra. The series of Generation Hope followed the exploits of Hope and her Lights as they attempted to find their way in the world. Fans of the Alpha Flight series were given another shot at an ongoing series in July 2011 with Alpha Flight (4th series). The series saw the return of all of the original Alphans to the title, including Northstar, who had joined the X-Men some time before. Unfortunately, though they were vocal, fans were not numerous enough and the series ended with #8 after the end of its first storyline.